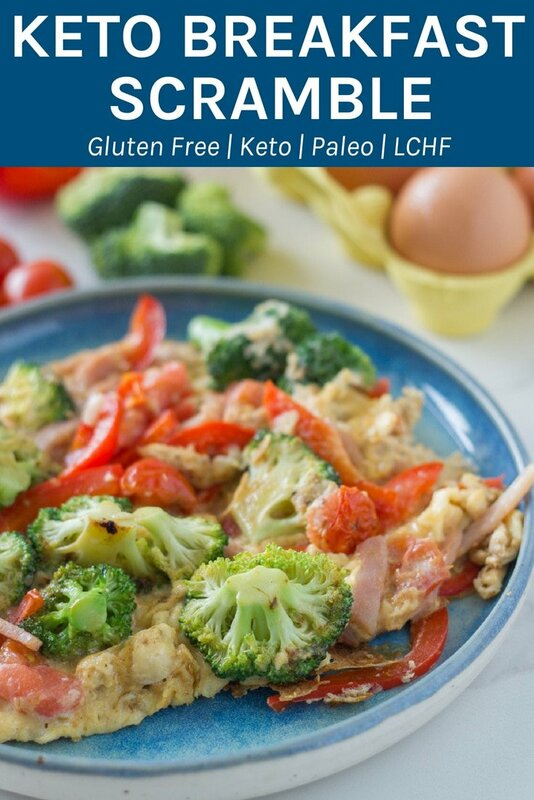 This keto breakfast scramble is a such a easy recipe to make and is packed full of so many tasty and healthy ingredients. 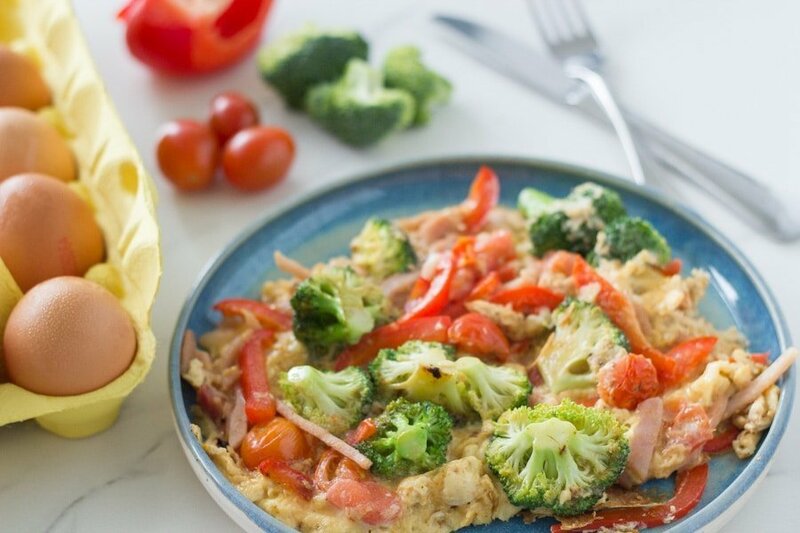 It only takes 15 minutes to make and is great if you are short on time in the morning. 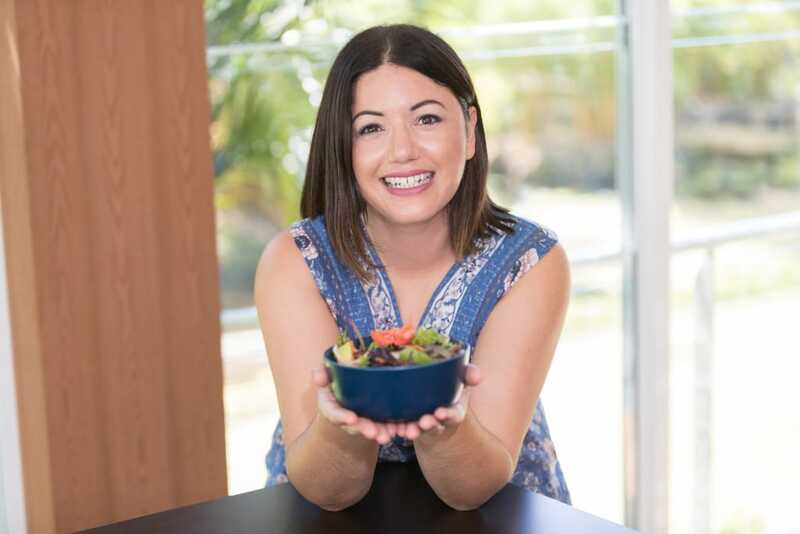 I am always looking to create recipes that don’t require too much effort, however are still full of flavour and amazing nutrition. That is why I am a big fan of smoothies, take for instance my healthy choc nutty smoothie. I just love making quick and easy breakfasts. However, there are times when I want something that I can eat with a knife and fork! 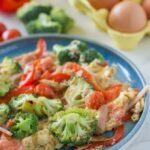 Which is why I came up with this keto breakfast scramble! I wanted something that was easy to make and different require flipping or turning over, like an omelette. I also wanted something that I could change up the ingredients. 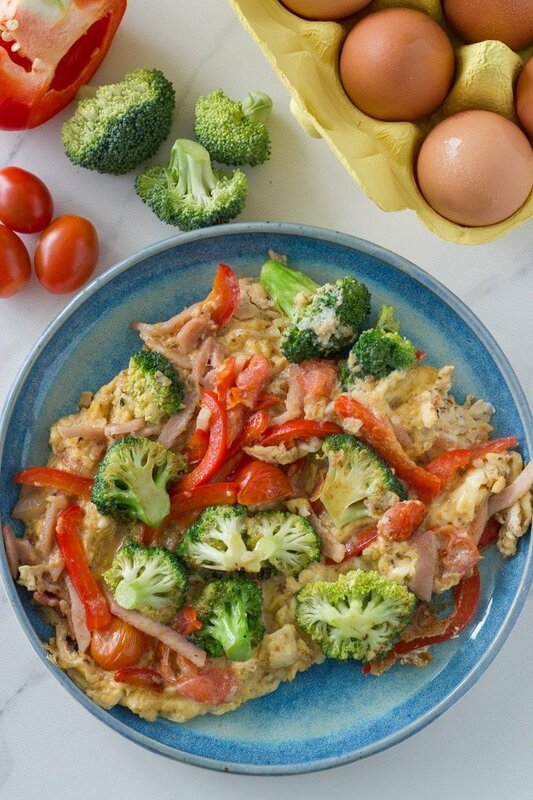 For this recipe I used bacon, broccoli, capsicum and tomatoes. However, I have also made it with olives, spinach and chorizo. You can add whatever ingredients you like really. That is the beauty of the breakfast scramble! Did you make it with the ingredients in this recipe or did you change it up a bit? 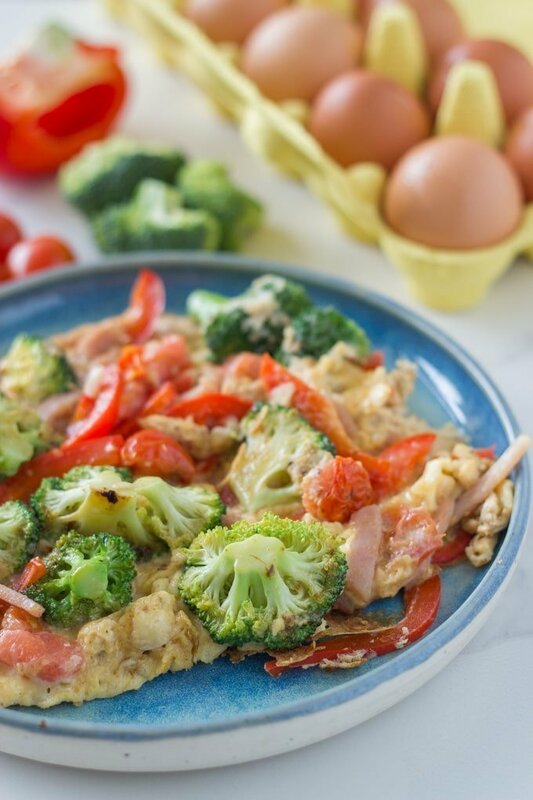 Eggs, bacon, broccoli, tomato and capsicum make this keto breakfast scramble super healthy and oh so tasty. Plus it only takes 15 minutes to make so is perfect for when you are short on time in the morning. Add butter or oil to a small frypan on moderate heat. Add the bacon and cook for a few minutes until the bacon starts to crisp up. Next, add the broccoli and cook for 2 minutes, making sure you turn the broccoli so that they don’t brown. Then, add the capsicum and tomatoes and cook for a further minute. Finally, add the whisked eggs and seasoning, and mix through the bacon and veggies. Cook for a few more minutes until your eggs are done. You can change up the ingredients as well. Chorizo, olives, capsicum and baby spinach is a yummy combo!